Our Monday through Friday schedule is so full. We are so go, go , go. Early days and late nights. But on the weekend, we get to sleep in and relax a little bit. Most weekends we wake up late, way past Breakfast. We have discovered the Brunch. In case you are lost and never heard the word Brunch, it is the meal in between Breakfast and Lunch. 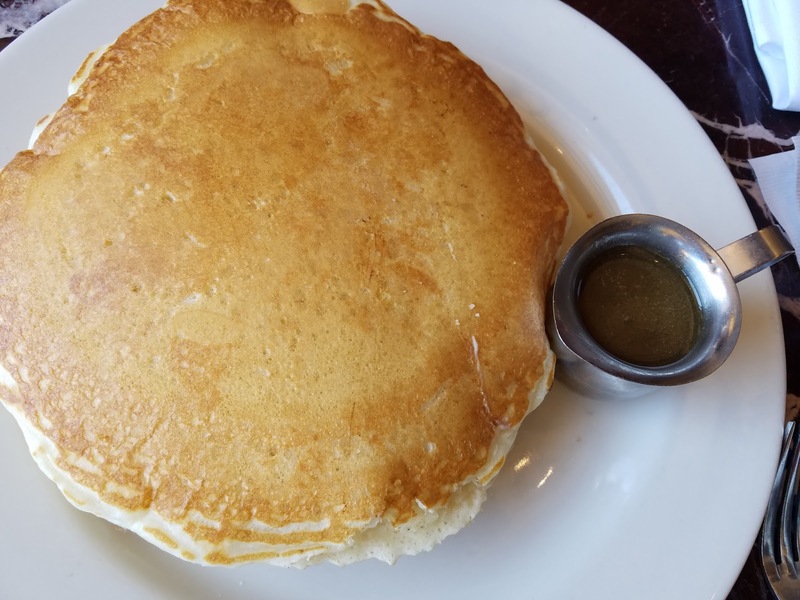 Where do you eat Brunch? And what do you eat for Brunch? Thanks to Grand Lux Cafe for inviting my family and I to come experience their Weekend Brunch. My son loves French Toast. 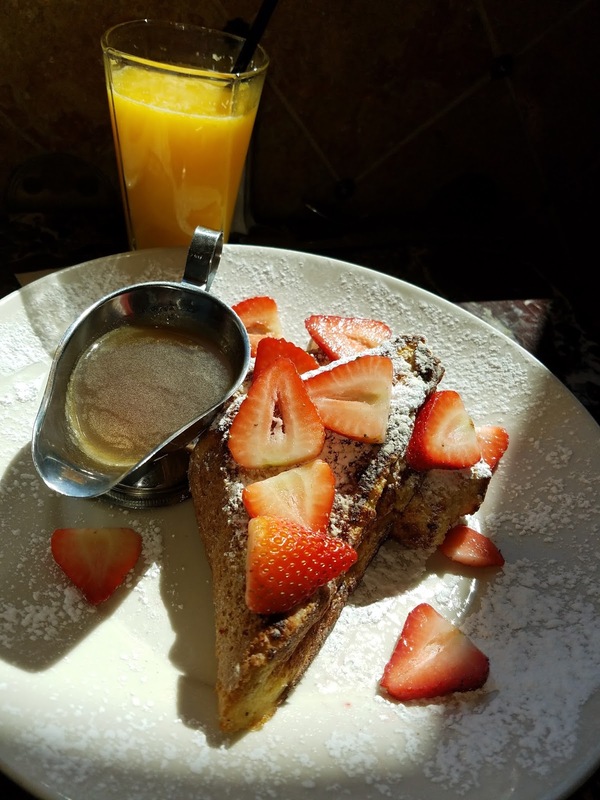 He decided to order the Grand Lux Cafe French Toast which is extra thick slices of Brioche Bread served with maple-butter syrup. You can add fresh strawberries which he did. My daughter stole some of his plate while this picture was being taken. The bread takes like you are biting into a piece of tres leches cake. This serving was huge. I did not know what to order with so many delicious options and recommendations. We have never been to Grand Lux Café for breakfast or lunch. 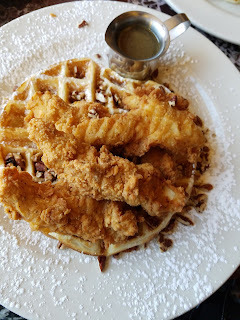 As I was undecided my husband pointed out they have chicken and waffles and he knows I have been craving some. That is what I ordered. When placing my order the waitress asked if I had any allergies to nuts, specifically pecans. I normally am the one asking or checking all the ingredients. My waffles came topped with crispy fried chicken strips and pecan honey-butter sauce. I really liked the flavor of the crisp on the fried chicken. 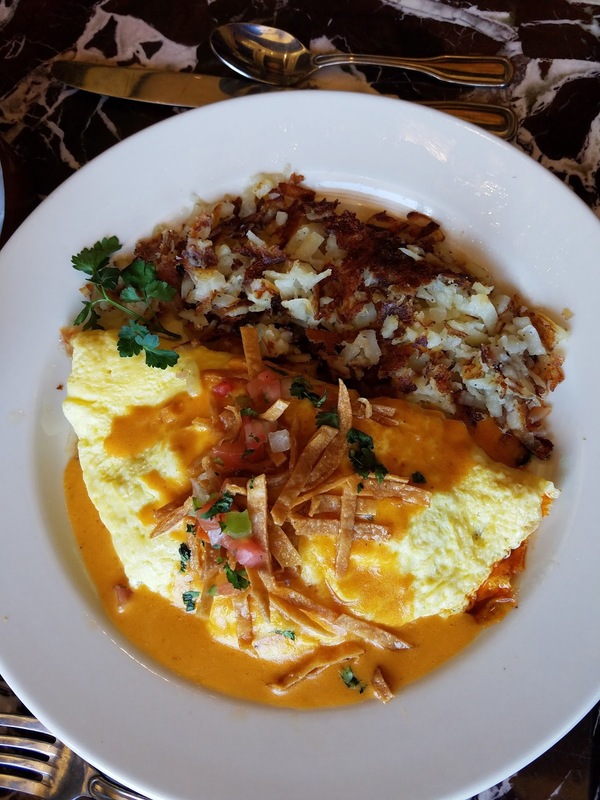 For his main dish, he ordered the Chorizo and Cheese Omelette. It had ground beef, Spanish chorizo, peppers, onions, tomato, cilantro, pepper-jack cheese and red chile hollandaise. It was delicious. 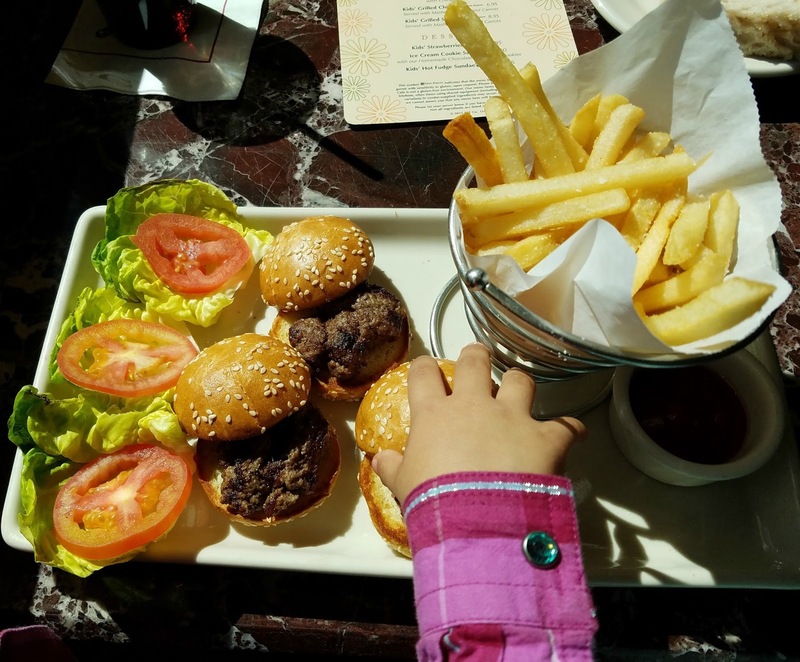 For our daughter, we ordered her the Kids' Mini Hamburgers that come with fries. Everything comes on the side including the baby lettuce and tomatoes. The burgers were her perfect size. We invited to try the Grand Lux Cafe’s Short Rib Grilled Cheese Sandwich which is served every day. (photo courtesy of Grand Lux Cafe) It is slow roasted short rib, caramelized and pickled onions, arugula and melted cheese on grilled country bread. It is served with a Mixed Green Salad or French Fries, you choose. I have to tell you never, ever, would I have ordered this. Grilled cheese sandwich with rib? Who does that? Grand Lux Café does that and they do it very well! It is so flavorful. The arugula and the caramelized and pickled onions were my favorite. My husband was very skeptical but after just one bite, he gave this dish two thumbs up. 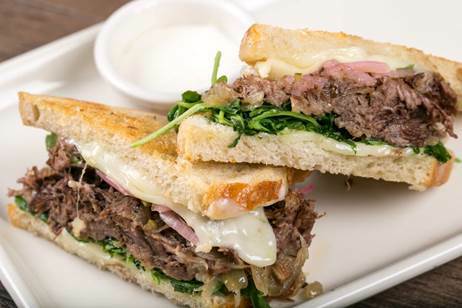 Grilled Cheese Sandwich Day is coming on April 12, Grand Lux Cafe invites you come in and try their amazing Short Rib Grilled Cheese Sandwich. I can't wait to go back and try the rest of the brunch menu and have another Short Rib Grilled Cheese Sandwich. Check out the rest of the menu at www.grandluxcafe.com.